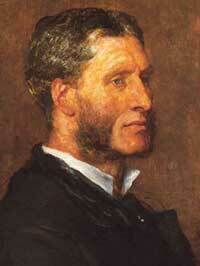 Matthew Arnold (1822-1888) was an English poet, critic and educationist who proposed a division between “high culture” and “popular culture” as a safety walve against democracy. Until 1867, the right to vote was restricted to land-holders but the Second Reform Bill, passed that year, extended the franchise to practically the entire urban male population. Arnold perceived it as “anarchy” and a threat to “culture”. Hence, in a series lectures starting that year and eventually published as Culture and Anarchy, Arnold suggested practical measures to check the development of democracy. Chief among them was the proposition that the culture of the educated elite should be different from the culture of the masses – something that would have been inconceivable to the greatest poets and artists in history, including Rumi, Shakespeare and Goethe. It's quite amazing the degree to which poetry can be used to uplift, or not, humanity.